Ready for some more letter learning exercises? 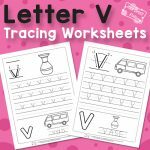 It’s time to work on letter T and this Letter T Tracing Worksheets pack is perfect to practice writing it! Nothing beats hands-on alphabet activities when it comes to learning about and recognizing the letters of the alphabet. And to reinforce what kids have learned, alphabet worksheets will come in handy for sure. 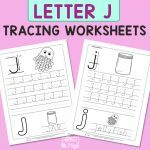 This is absolutely true when it comes to learning how to write the letters – tracing worksheets can be of great help. 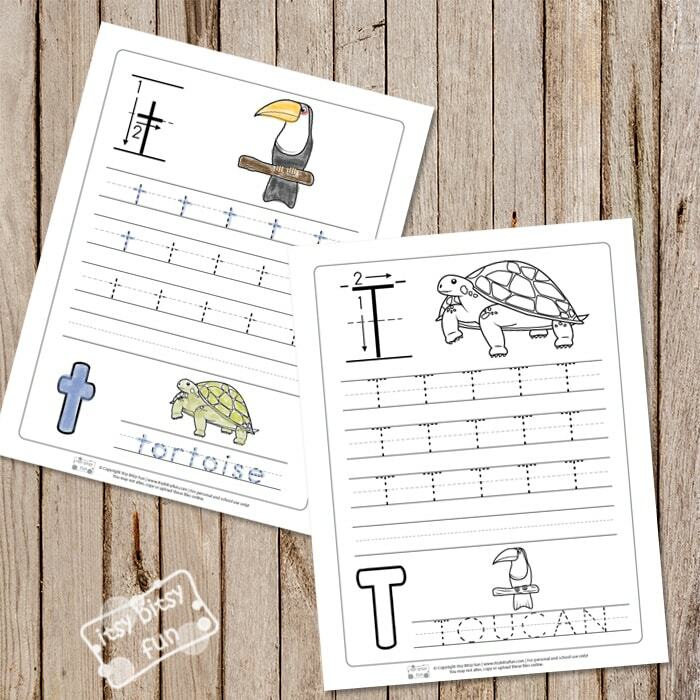 We’ve got a lot of both handwriting worksheets and worksheets that focus on getting kids ready to write. 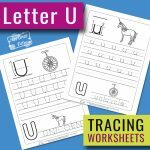 These letter practice worksheets focus on one letter at a time and are perfect for your preschool or kindergarten letter of the week lesson or to print and give to kids if they struggle with some letters. 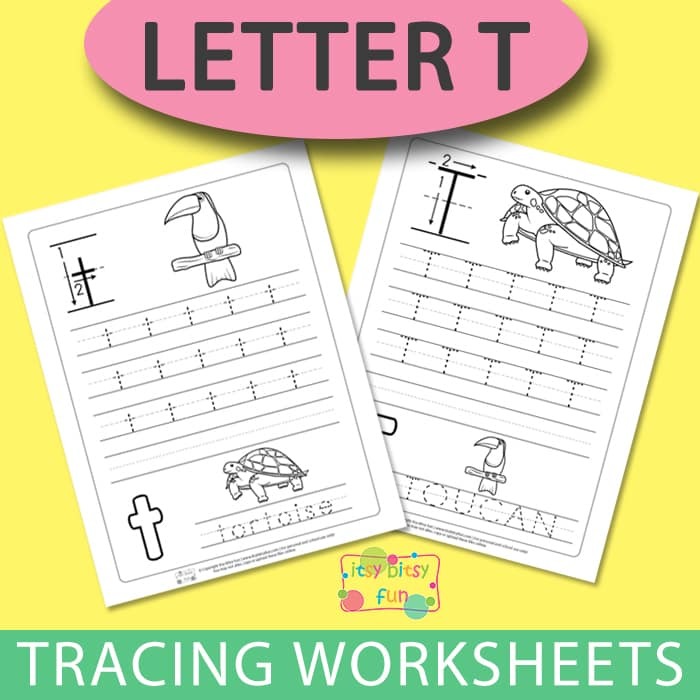 This set of worksheets is dedicated to the letter T.
A variety of activities will help your kids with both lowercase and uppercase letter T.
There is enough tracing practice to get the kids confidently try and write the letter on their own in the last row dedicated to this. Elements to color-in are also included on both of the worksheets for kids to warm up their hands. You can laminate individual worksheets to make them more durable. 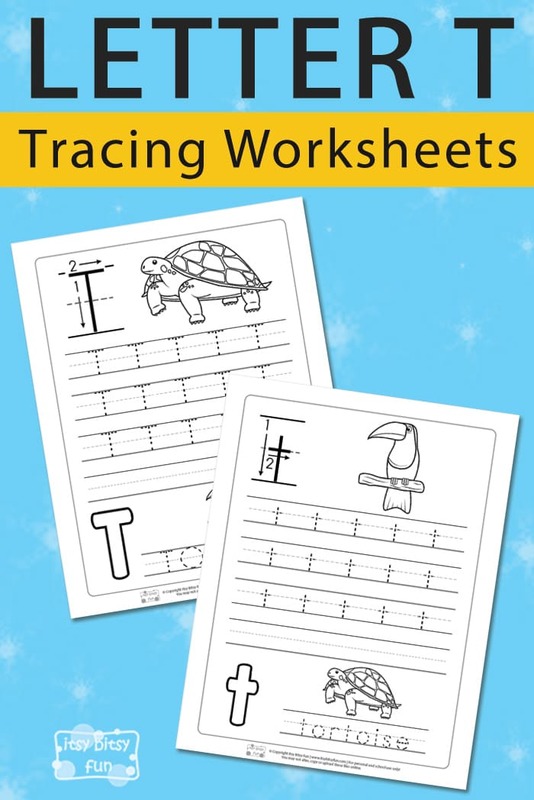 Why not print the whole alphabet tracing series and bind them together into an alphabet tracing workbook. 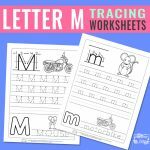 Get your Letter T Tracing Worksheets here.